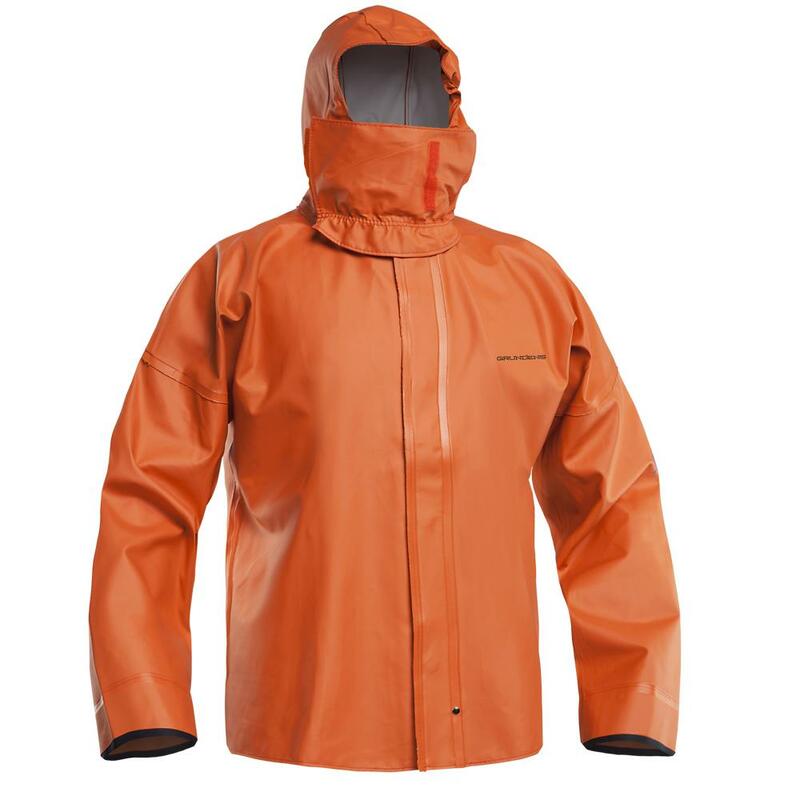 Grundens Extreme 4000 Parka, Foul Weather Gear, Rain Jacket. With a revolutionary new hood design offers the very best face protection available for those who must meet the elements head-on. THE FABRIC in the EXTREME 4000 PARKA is a heavy cotton twill base material (4.7 oz. per yard), coated with a specially formulated PVC (10.9 oz. per yard) for a total weight of 15.6 oz. per yard. The PVC coating on the Extreme Parka is specially designed to resist oils and to remain flexible in extreme cold.